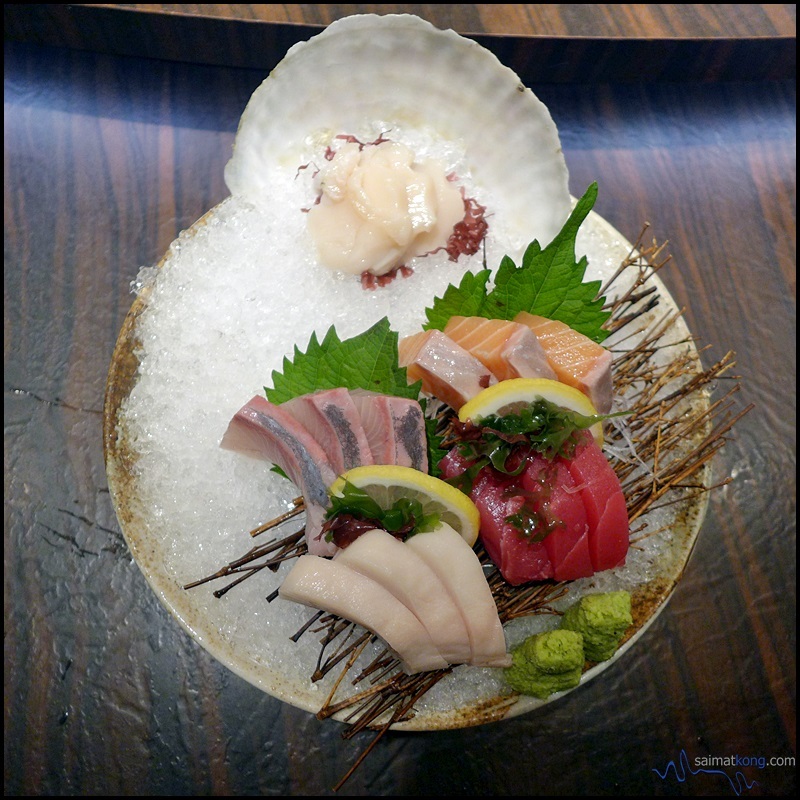 Situated along Old Klang Road, Ishin is a fine dining Japanese restaurant that serves genuine Japanese and Kaiseki style cuisines. 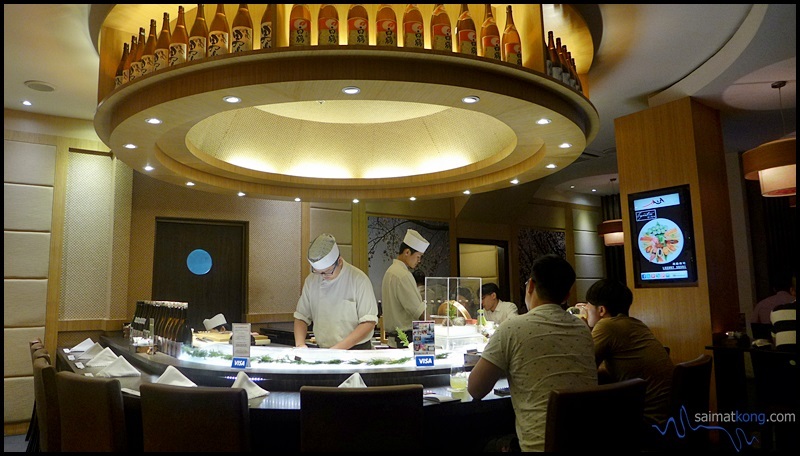 The interior design with wooden furniture creates a cosy ambience for diners to enjoy exquisite Japanese cuisine. 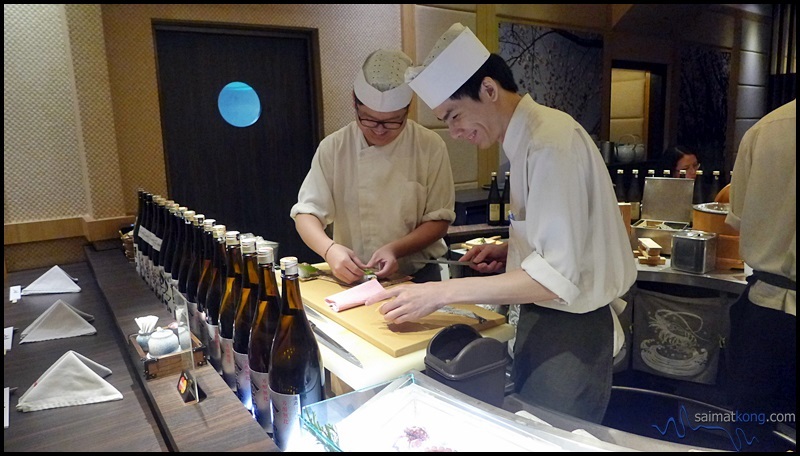 There is an oval sushi counter where you will be able to watch the sushi chef in action. 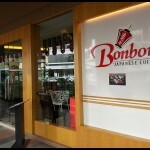 Private rooms and Tatami seating are also available should you wanna host private events and corporate functions. What I like best about Ishin is they also provide free valet services to all their dinner guests. 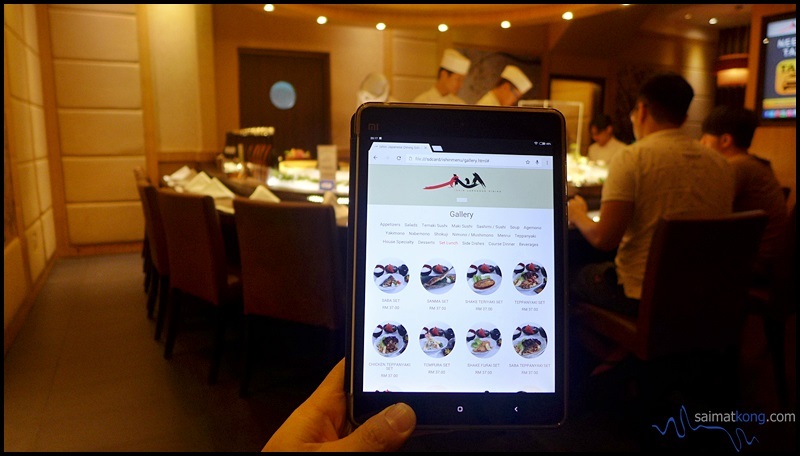 Ishin display their menu using a Mi Pad which provide diners with a fresh and unique interactive experience. 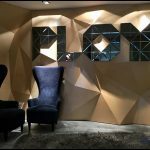 Anyway, both me and The Wifey are here for a review session to try out their set lunch and a few other dishes from their ala carte menu. 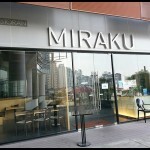 Their set lunch are available daily at very affordable price. 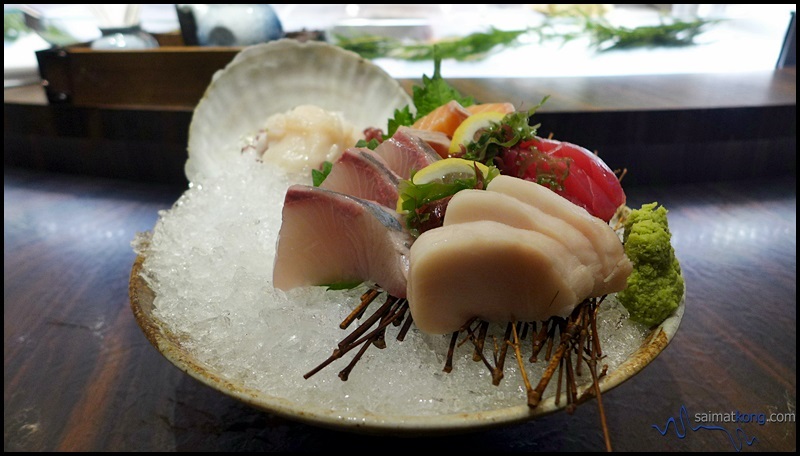 Our sashimi platter consists of assorted fresh sashimi (salmon, maguro, hotate, hamachi) which are very fresh with a melt-in-the-mouth texture. Yummy! I’ve tried kobe beef a few times but this is my first time trying Matsusaka beef (black-haired wagyu) which is also known as “Japanese Black”. 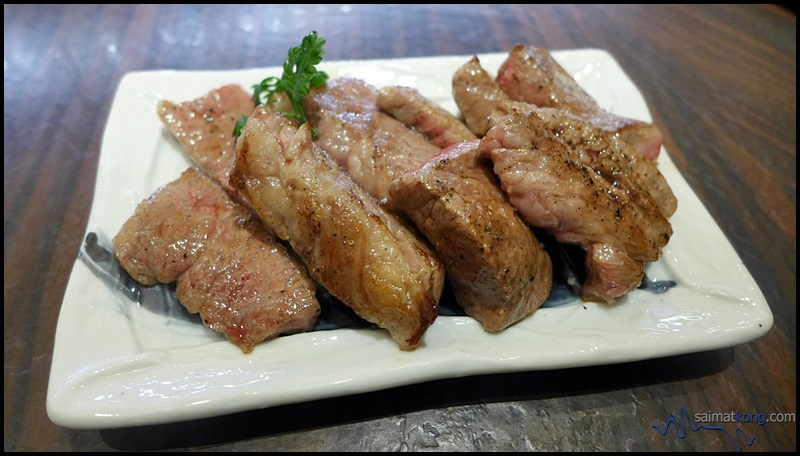 The matsusaka beef which is famed for it’s soft texture, rich and developed taste is also apparently one of the most expensive beef. 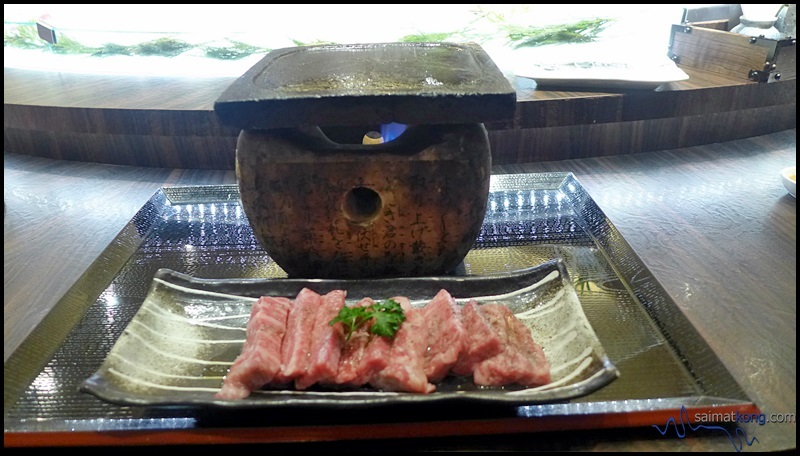 The matsusaka beef is grilled with some special sauce and a bit of sea salt. The meat is extremely tender with a melt-in-the-mouth texture. Lovin’ it! Guess what fruit is used to make this Malaysian Roll? Not durian nor papaya but mango! 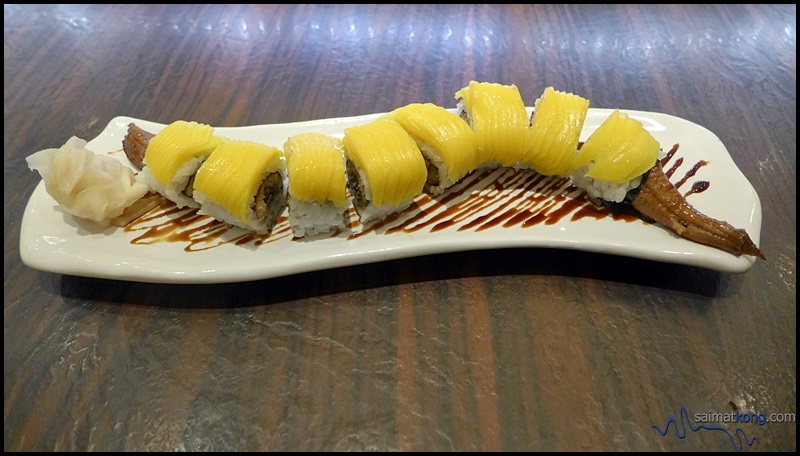 This Malaysian Roll is made with sliced mango and unagi. 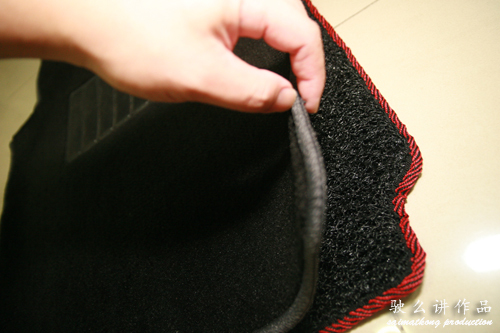 I per ally don’t realty like it coz there are bits of tiny bones. 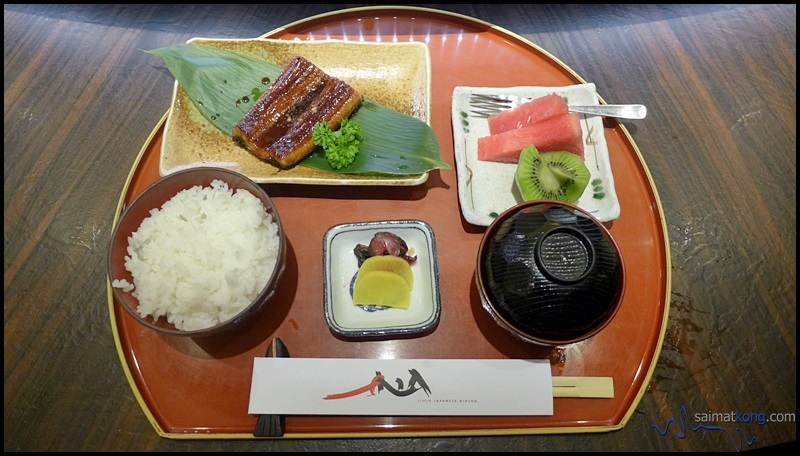 I ordered the Unagi set which comes with Japanese pickles,miso soup, steamed rice, unagi and fruits. 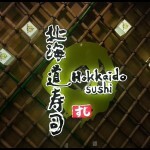 The unagi with sweet sauce glazed on top is very fresh and taste really good. 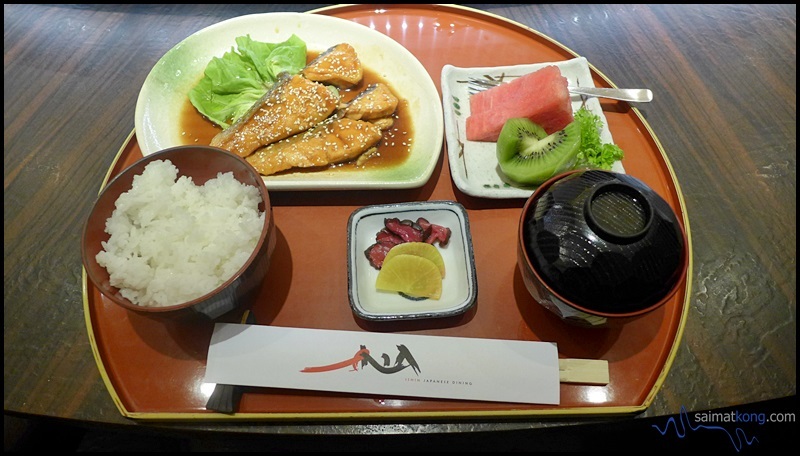 The Wifey ordered Shake Teriyaki set which consists of a perfectly grilled salmon with teriyaki sauce and is served with appetizer, rice, miso soup and fruits. 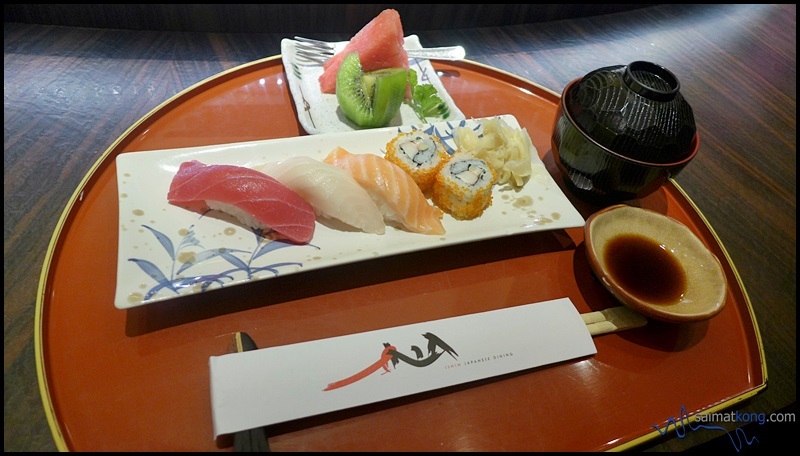 The nigiri sushi set consists of an assortment of sushi. The friend who had this gave it two thumbs up! 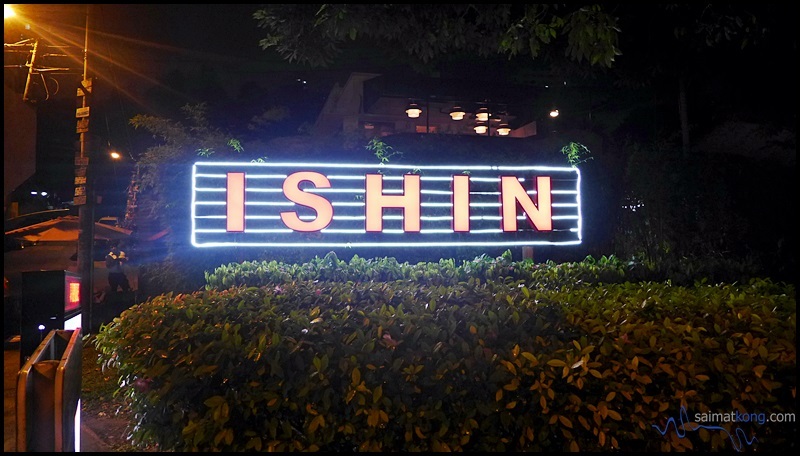 Verdict: Ishin Japanese Dining (一心) is a cosy Japanese restaurant along Old Klang Road offering quality Japanese cuisine at an affordable price. 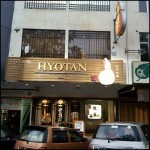 They have a wide selection of set lunch available daily from only RM25+ onwards. 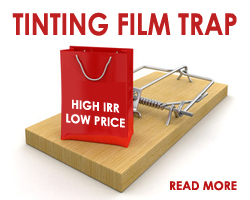 Be sure to make sure reservations early as they have limited seats available. Address: No. 202, Persiaran Kelang Off 3 3/4, Jalan Kelang Lama, 58000 KL. 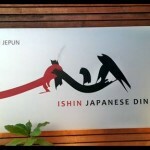 Hi, Ishin is a pork free restaurant but it’s not halal Coz they serve alcohol. Hope this helps.